Over the course of 100 days in 1994, Hutu extremists brutally massacred 800,000 Tutsi Rwandans. It was one of the worst genocides in human history, and while it happened, UN Peacekeepers impotently watched it happen, under direct orders not to interfere. The whole world watched as we failed to stop a genocide—but that was only the tip of the iceberg. The dark, hidden secret of the Rwandan genocide, though, is that the nations of the UN did not just fail to take action. By selling weapons, and deliberately blocking international assistance, nations around the world helped Hutu extremists commit genocide. Some did it for money, and some did it for politics—but they did it. People around the world actively helped make sure a genocide happened. Declassified documents that were sent to the White House, though, tell a different story. The US had more than just an inkling that something bad was going to happen—they knew for a fact that the Hutus were planning the genocide before it started. 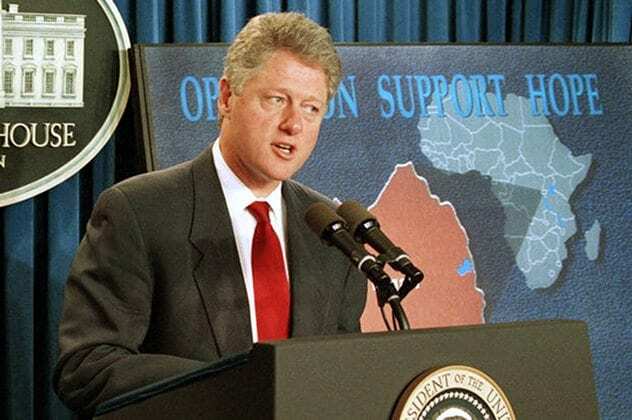 Sixteen days before the killings began, Bill Clinton was notified that the Hutus had planned a “final solution to eliminate all Tutsi.” He received regular reports on it, each one using the word “genocide” to describe their plan, and he was given details that, even in retrospect, were incredibly accurate. About three months before the genocide started, UN Peacekeepers caught a French plane making a secret landing at night. The plane was making a delivery to the Hutu extremists, full of weapons and mortars that would soon be put to use in the genocide. This was a direct violation of the Arusha Peace Accords that had ended the Rwandan Civil War. 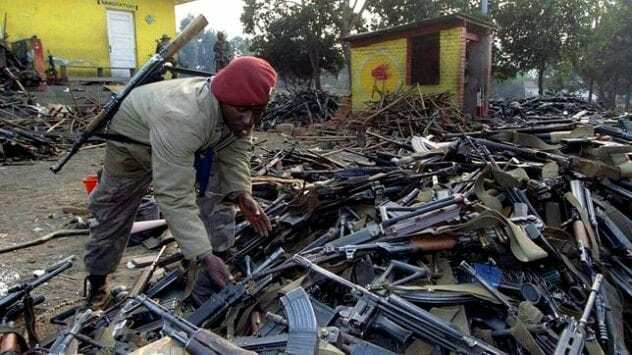 Members of the UN were forbidden to sell weapons to Rwanda—and yet the paperwork inside the plane made it clear that these weapons had been sent from all over the world, with companies in France, Belgium, Egypt, Ghana, and the United Kingdom all supplying weapons for the Hutu extremists. The UN Force Commander, Roméo Dallaire, reported it to his superiors and demanded an explanation from the Minster of Defense of Belgium, who he believed was behind this. He warned them that violence was coming, and asked for more peacekeepers and more power to stop it. He was told, though, not to worry about it and to let the shipment go through. No additional men were sent. Perhaps it should not be surprising that the UN did not react to Dallaire’s warnings. The Secretary-General of the UN at this time, Boutros Boutros-Ghali, had a vested interest in the Hutu militia. Just four years before, he had secretly sent them a massive shipment of weapons. Boutros-Ghali would later justify this, saying that selling weapons was part of his job and that he did not think “a few thousand guns would have changed the situation.” Boutros-Ghali, though, was more than just a passive player. He actively fought with Egyptian President Hosni Mubarak and convinced him to sell weapons to the Hutus. 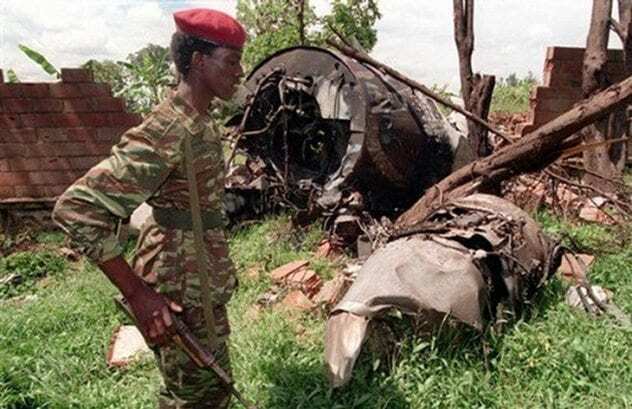 The moment that triggered the Rwandan genocide came when a plane, carrying the presidents of Rwanda and Burundi, was shot out of the sky. Two presidents were assassinated in a single shot, and the outrage over their deaths became the catalyst for genocide. It is not entirely clear who shot the plane down. Some believe that the presidents were assassinated by Hutu extremists who were afraid that they were about to take a soft line with the Tutsi. 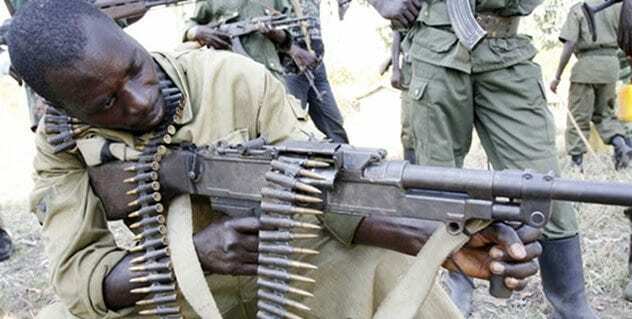 Others believe that it was shot down under orders from Paul Kagame, the leader of the Tutsi RPF rebels. When the genocide ended, the United Nations formed the ICTR—the International Criminal Tribunal for Rwanda. An ICTR team, led by attorney Michael Hourigan, started looking into who had shot down the plane and, at first, the UN supported them. But when Hourigan found evidence that suggested Kagame—who, today, is the President of Rwanda—might have been behind it, his investigation was shut down. ICTR Chief Prosecutor, Louise Arbour, ordered him to drop the investigation, terrified that any charges against Kagame would just make things worse. Years later, in 2002, a new chief prosecutor, Carla Del Ponte, took over and tried to reopen the investigation. As soon as she did, she was fired by the UN—and she is pretty sure that the governments of the US and the UK demanded her dismissal. 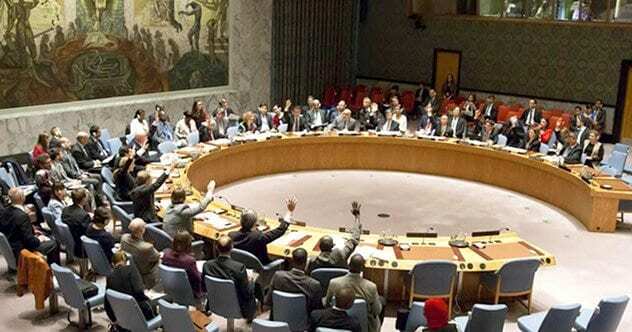 The United States and France had used a hidden veto to keep the world out of the conversation. They were threatening to veto any action in Rwanda. They would not even let the UN use the word “genocide” in any resolution that they made about it, and they used their influence to stop the UN from sending more peacekeepers. It has been alleged that Israel continuously sent weapons to the Hutu extremists—not just before the genocide started, but even while it was ongoing. According to the accusation, Israel started sending Rwanda weapons in 1990, continued throughout the genocide, and did not stop until 1995. If this is true, it is more than just a breach of the peace accord. It would mean that Israel flagrantly disobeyed a UN embargo forbidding any country from sending weapons to Rwanda, directly violating international law. And, there is every reason to believe that it is true. Some concerned citizens filed a Freedom of Information request to see the documents that went to the Israeli Supreme Court. The Defense Ministry contacted the Supreme Court and talked to them behind closed doors, and then the Supreme Court refused the request. The Defense Ministry has not, at any point, denied that they sold weapons to the Hutus while they were conducting a genocide. When the genocide began, there were about 2000 UN Peacekeepers stationed in Rwanda. It was, by no means, enough people to stop it from happening, especially since they were not allowed interfering. Roméo Dallaire repeatedly begged for more people and more power to do something about it, but he was denied. 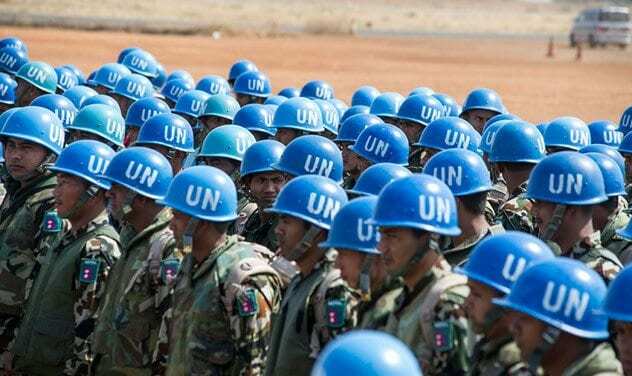 Instead, the UN pulled most of his peacekeepers out. When they started campaigning to pull the peacekeepers out, Eric Schwartz, a member of the US National Security Council, tried to warn the White House what would happen. The Peacekeepers, he told them, were protecting 25,000 people. If they were pulled out, these killings would turn into a full-scale genocide. Two days after Schwartz’s warning, the UN Security Council pulled almost every peacekeeper out of Rwanda. The number on hand went down from over 2000 people to just 270. In time, the UN started sending peacekeepers back into Rwanda—but that did not happen until the genocide became a full-blown media disaster that was affecting their image around the world. France set up one of the biggest relief programs. They introduced the “Zone Turquoise,” an area that covered one-fifth of Rwanda, meant to protect Rwandan refugees and try to stop the violence. There is some debate, though, over who the French were trying to protect. At this point, the genocide was almost over. 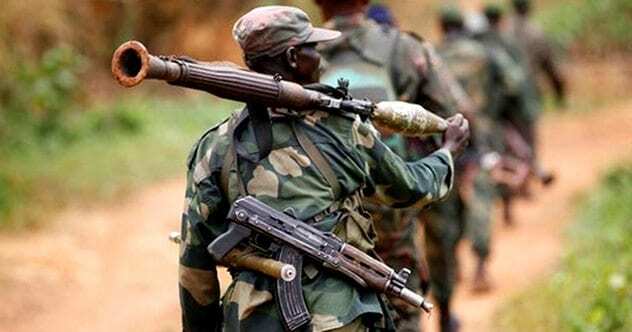 Paul Kagame and the Rwandan Patriotic Front (RPF) were winning the war against the Hutus and, in less than a month, they put an end to the genocide and took control of the country. 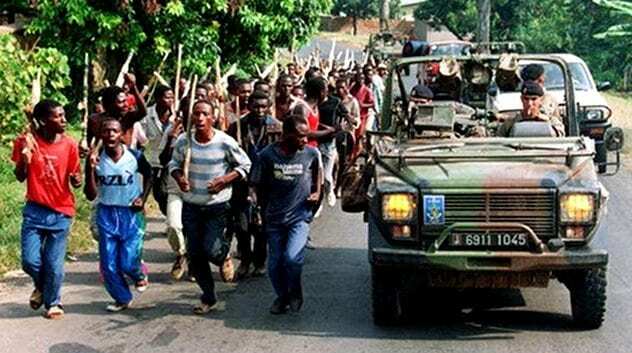 Most people in Rwanda did not think the French were there to stop the killings—they were there to stop the RPF from winning. The French never used their zone to arrest the people behind the genocide or to shut down the Radio des Milles-Collines that was egging it on. And, two months after they arrived, when the RPF had claimed every part of Rwanda but the Zone Turquoise, the French left. Kagame pointed to Operation Noroît, a French operation approved by President Francois Mitterand, which armed and trained Hutu fighters. 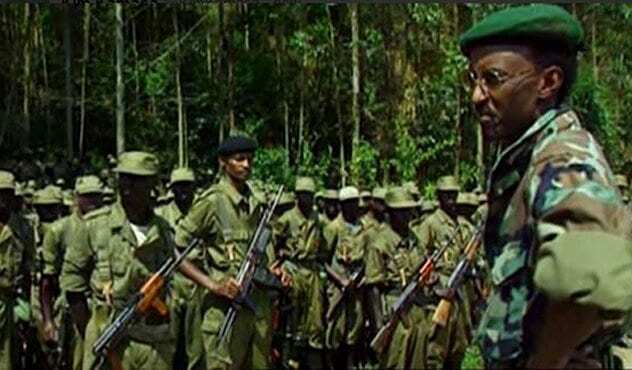 Kagame claims that this went beyond just teaching them to fight. He claims that France helped provide them with weapons to carry out the genocide and even helped planned the logistics of the slaughter. Kagame claims that Operation Turquoise was set up to help the Hutus responsible for the killings escape. He even says that French soldiers covertly assassinated people who were hiding Tutsi and joined in on the rapes of the survivors. Some of the claims have not been proven—but there is no question that France trained the Hutu fighters and helped provide them with weapons. And when Bernard Kouchner, who was French Foreign Minister during the genocide, heard Kagame’s claims, he admitted that France owed Rwanda an apology. “The French soldiers never killed anybody,” Kouchner insists, but he does not deny that they played a major role in the genocide. 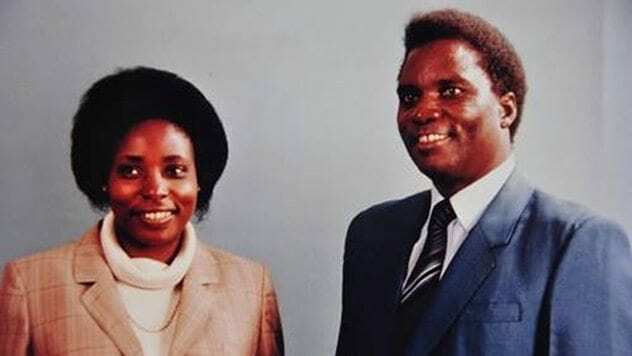 After Rwandan President Habyarimana’s plane was shot down and the genocide began, his wife, Agathe Habyarimana, fled to Paris. French troops airlifted her out and, reportedly, gave her 230,000 Francs. It is a major issue because, according to the Rwandan government, Agathe Habyarimana may have been one of the major players who planned the Rwandan genocide. France actually agrees—the French State Council has stated that there are “serious reasons to suspect” that she was one of the key players. Kagame wanted her extradited to Rwanda to face trial there, but France refused, promising to take her through their own courts. And they did arrest her in 2010—but they let her out shortly after. Today, years after her arrest, Habyarimana still walks free. There is an international warrant out for her arrest on charges of genocide, but for as long as she stays in France, she will never see a day in prison.